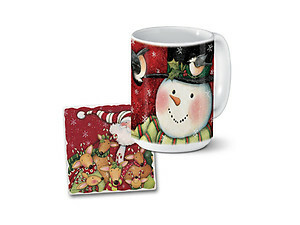 This vividly printed mug/coaster combo set has been designed for the holidays. 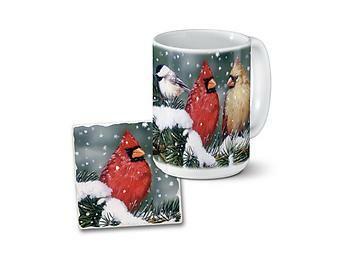 The large mug holds 15 ounces, and the bisque AbsorbaStone tile coaster measures 3.625 inches square. 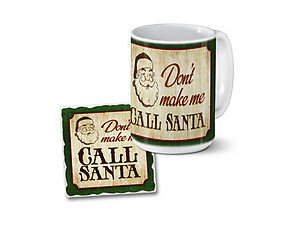 Comes attractively packaged in a clear plastic rectangular cube.